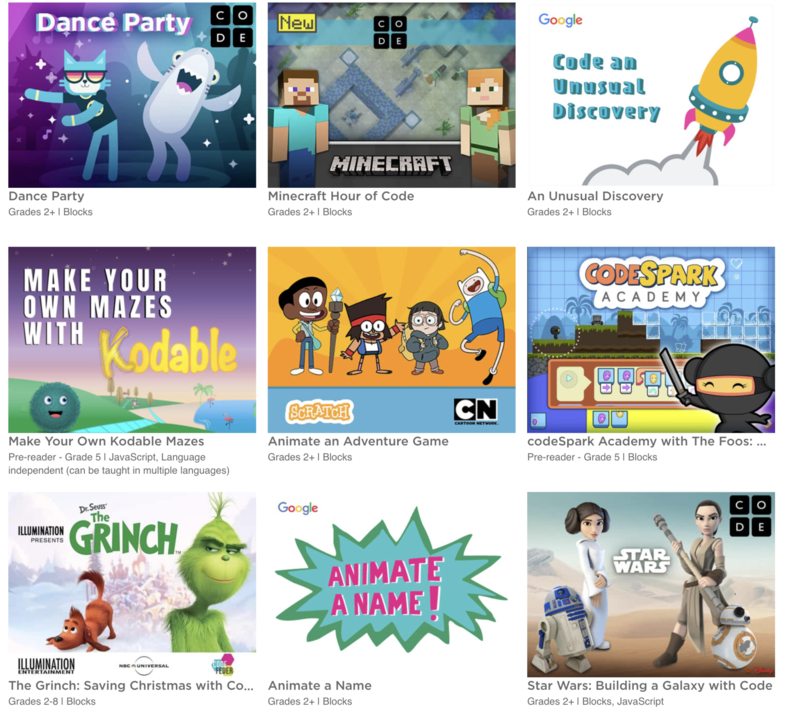 Challenge yourself to complete an HOUR of Code this week! Create your own Dance Party, Kodable Mazes, Starwars Galaxy or Animate your name or adventure game. There are many different options!